Here is Part 3 of our Home Financing Guide. In this segment we take a look at everything to do with interest rates, and explain the difference between an Interest Rate and an APR. Borrowers often wonder why the APR is higher than the interest rate, and we will adress that and several other key issues with regard to the rate below. Interest rates reflect the cost to borrower money as charged by the Lender. The higher the interest rate the higher the monthly payment (given the same loan terms). Interest rates in the mortgage market tend to be pretty volatile. That means that the interest rate offered on any given day can vary from the previous day. The reason is that the perception of mortgage lending risk and the market value of mortgage investments is affected by the mood of the financial markets (just like the value of the dollar and the stock market) and therefore interest rates can change daily or even more frequently. There are laws that protect consumers from usurious (very high) interest rates but reputable lenders such as Allied are well within those parameters. Interest rates offered can vary by the type of Loan Program, Loan Terms and the Qualifications of the Borrower. For example Jumbo loans typically include a higher interest rate than a Conforming Conventional or FHA loan. In the case of Loan Terms the shorter the loan period (e.g. 15 years versus 30 the lower the rates may be, but if little to no down payment is made on a home, the interest rate could be higher. And finally in terms of Borrower Qualifications the borrower with better credit may get lower rates than one with poorer credit. So just because one individual gets a low interest rate does not mean that another person that got a higher rate was taken advantage of. How do Variable Rates work? A variable rate loan is one where the interest rate is subject to change based upon ‘financial index’ changes. There are several commonly used indexes but the most often used are the US Treasury Bill, LIBOR (London Interbank Offering Rate) and the Prime Rate. When those indexes go up or down that can cause the interest rate to change on the loan. Most mortgage loans that have a variable rate have a ‘fixed period’. That means there is a period of time (usually in years) that rate remains the same as when the loan was first obtained. For example a 5 year ARM (Adjustable Rate Mortgage) will keep the same interest rate for 5 years before being subject to change. But then the big question is “If my rate is subject to change, how high can it go?” Fortunately there are “caps” that are set to control how much interest rates can change over the life of the loan. There are three caps usually shown like this: 2-2-5. In this example the first cap is the percent that the interest rate can jump when it can first change. So if you started with a 5% rate on a 5 year ARM, then on the 6th year it is possible for the rate to move up to 7% but no higher for that year. But this does not mean that the rate will automatically jump up to 7%, that depends on whether the financial index used moved up or down; it is possible for your rate to go down as well. The second number shows how much the rate could change each subsequent period (or year in this case) so it can never go up more than 2% any given year according to this example. The last number provides a lifetime limit. In this example the interest rate can never go higher than 5% when the loan first started which in this case would be 10%. So why would someone want a variable rate loan? Because the rate usually starts lower and the borrower is willing to take the risk that the interest rate will not be too high in the future. 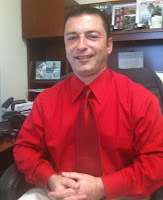 But some savvy borrowers know that they will not hold the loan (or property) longer than the fixed period of the loan. So they may buy a home with a 7 year ARM but know they will sell the home in 5 years. That way they were able to get a lower rate but do not worry about the possibility of that rate changing based on their plans for selling the home. ARM Loans should be considered very carefully, and not all ARM’s are created equal. If you are consindering an ARM it is important to know what the CAPS (the maximum the rate can adjust at intervals) are. Also it is important to know and understand what type of index will be used. The index will determine the rate and the adjustment period’s, and some indices are more stabe than others. For more information about ARM’s call Steve Fingerman for complete detailed explanation about the benefits and short comings and risk of an ARM. In today’s market, ARMS are very seldome being used. Lower interest rates shouldn’t always end up being the deciding factor on accepting a loan. For example one could pick a variable rate program because its interest rate was lower to start with than a fixed rate loan (e.g. 5.0% versus 5.5%). But since the variable rate loan can increase their interest rate in the future, that same 5.0% loan could be 7.0% or higher in the future depending on the financial markets. That person may want the security of a fixed rate and therefore is willing to have a slightly higher rate than an Adjustable Rate Mortgage may provide. In many cases the Borrower has the ability to “buy down” the interest rate either on a temporary or permanent basis. Obviously the term buy down means that the borrower has to pay for the advantage of a lower rate. In those cases the borrower needs to do their homework to see if the buy down cost versus the monthly payment savings is worthwhile for them to buy down. As a rule of thumb the shorter one plans to stay in the mortgage or home, the less worthwhile buy downs are. But if it will be a many years then the cumulative savings overshadows the initial cost. Be sure to look closely at interest rate buy downs (or Discount Points). A lower rate may not be worth the extra cost. 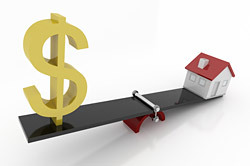 Sometimes borrowers will choose use a slightly higher interest rate on a loan to cover their up front (closing) costs. To them the initial costs including a down payment are more of a challenge than the monthly payment so they are able to slide the interest rate up a bit to cover their out of pocket costs. For others a quick refinance to take advantage of lower market rates may not utilize the lowest interest rate that is available just so there are no out of pocket costs to conduct the refinance, but they know they will begin saving money right away with the refinance and are not concerned. “Why is my APR higher than the interest rate that was quoted to me?” APR is the calculated Annual Percentage Rate based on a complex formula. It is not the same as the interest rate you actually pay but it includes the interest rate as part of the calculated number. (The good news is that Mortgage Loans use what is called a Simple Interest which means the interest is not Compounded like a credit card is which makes credit card interest so high. It’s not unusual to see credit card APR’s around 20% or more!) APR includes in its calculations all of the costs of the loan in addition to the interest rate and divides than into the loan amount reduced by the costs. That may not be easy to understand but the end result is that the APR on a mortgage loan is usually always higher than the true interest rate of the loan. For More Information regarding Interest Rates or buying a home in Hernando County, and how they can effect your loan please contact me directly and I will be happy to review all of your options with you. I look forward to hearing from you soon.